Welcome to the Web edition of Chez nous! Here you’ll find all articles from the current printed edition of Chez nous as well many news items, events and other information found only on the online edition. Nurse Thao Le has recently coordinated revisions to a number of post-op instructions for patients. Parents and caregivers can now download information on caring for children at home after day surgery, herniorrhaphy, hydrocelectomy, or an orchidopexy, insertion of P.E. tubes, circumcision, laser treatment, otoplasty and strabismus surgery. To see the complete list, go to the Pre-Operative Assessment Clinic page in the department section of the MCH Website. Since 2004, Quebec’s Conseil du medicament has made asthma one of its priorities, and within the context of developing optimal usage of medications for asthma, the Conseil developed l'Outil d’aide à la decision dans le traitement de l’asthme in 2006. They followed this in 2007 with the Plan d’action pour l’asthme with the objective of helping patients control their asthma and prevent asthma attacks. In the course of developing this action plan, it became apparent that an action plan for the emergency setting was needed, which resulted in the Plan d’action pour les crises d’asthme – situation urgence. This helpful tool was designed to help healthcare professionals in emergency work with patients suffering from asthma attacks. 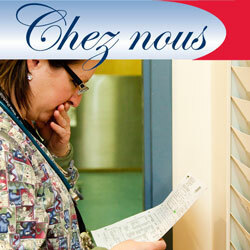 The Action Plan was developed in collaboration with the MUHC and many experts in the field. Among those participating was MCH emergency physician Dr. Dominic Chalut. To learn more about the action plan or to download materials visit the Conseil du médicament Website. The MCH has set up a day of activities to celebrate Dr. Harvey Guyda’s long-standing dedication to children's health, as the Dodds Professor and Chair, Department of Pediatrics, McGill University, MCH Physician-in-Chief, MUHC Pediatrician-in-Chief and world-renowned pediatric endocrinologist. Come and spend a half-day at the MCH with eight Leading Medical Specialists, followed by a Gala Dinner in his honour at the Hilton Bonaventure Montreal. Luke Quin, communications coordinator at the MCH Foundation, and former guitarist for Canadian ska group General Rudie, is offering another group guitar lesson for beginners and intermediates during a Lunch & Learn hour at the MCH. Also known as the “guitar doctor”, Luke believes that with a little guidance, everyone can improve their skills regardless of their level. Caring for Kids Radiothon just days away! Pre-op nurse Thao Le and Daniel Héon from Medical Multimedia have created a great video to help children prepare for surgery. The podcast is now available for viewing on the MCH media portal. The production was a team effort of the Preoperative Assessment Clinic, Child Life department, Anesthesiology Department, Postanesthesia Care Unit and the Operating Room. Parents can also get helpful tips about what to expect at Emergency at the MCH with a new video titled "Waiting at the Montreal Children’s Hospital ER". And in an effort to alleviate some of the overload in ER, the video also aims to help parents decide if they should come to Emergency. Lectures from the 2008 Mini-Med series can be viewed on the portal as well; available podcasts include Dr. Evelyn Constantin’s presentation on sleep-related issues in children, Dr. Mark Anselmo’s discussion of asthma, and Dr. David McGillvray’s presentation on fever symptoms and treatments.